Seats 60/70 (Private use of restaurant 70). D Wed-Sat 6pm-9pm. Sun 1pm-4pm. 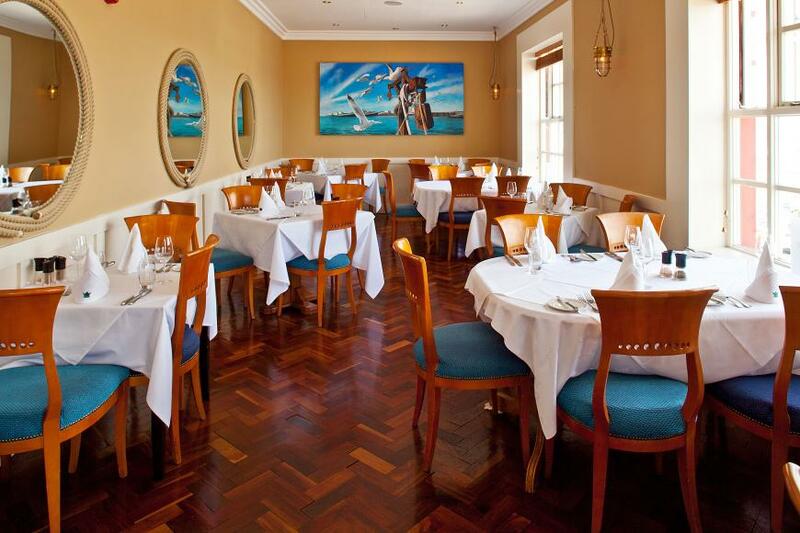 2/3 course L €30/€37, 2/3 course D €33/€40, also à la carte; house wine from €27; SC discretionary (12.5% parties 6+). Restaurant closed last two weeks Jan. Ground floor wheelchair accessible. East Coast café bar (25 seats +outdoors 48/50), open daily 10.30am-10pm A la carte. Mastercard, Visa. 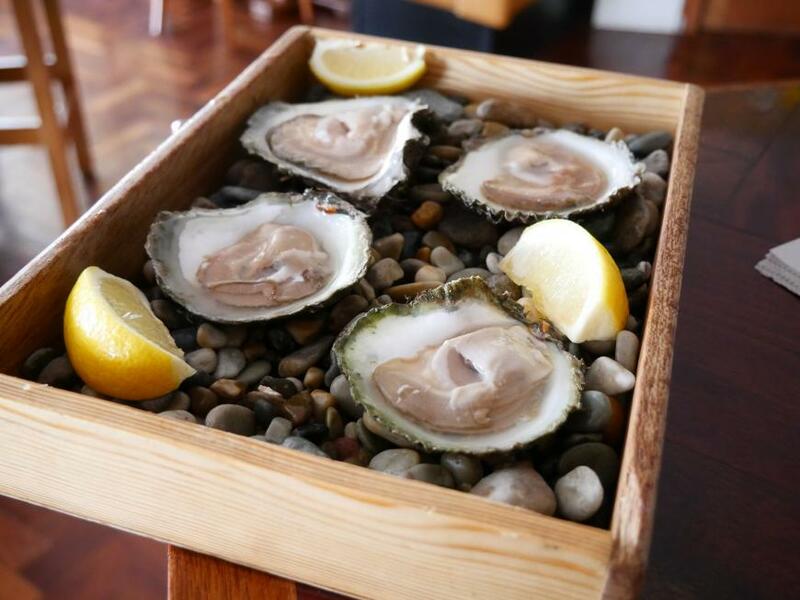 Named after an 11th century Norse King of Dublin who had close links with Howth, Aidan and Joan MacManus' striking harbourside establishment is one of Dublin's longest established fine dining restaurants (they celebrated 40 years in business in 2011). 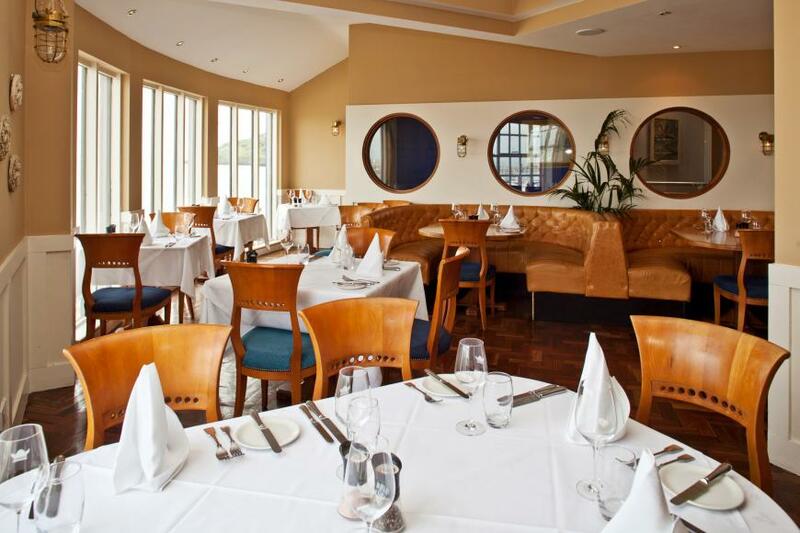 The bright and airy first floor restaurant takes full advantage of the harbour views, especially enjoyable on summer evening - and, from this East Pier site, chef-patron Aidan can keep an eye on his lobster pots on one side and the fishing boats coming into harbour on the other. Seafood specialities worth travelling for include a luscious red velvet crab bisque, and classics such as sole meunière and Dublin lawyer. In autumn there is a slight shift of emphasis as more meat dishes are introduced - notably the local Baily Beef, from the Bellingham family farm on Howth peninsula (and perhaps Lambay Beef too, from nearby Lambay island) - and lovers of game come here to enjoy the selection of wild game from Co Wicklow. Farmhouse cheeses will also vary with the seasons, and homemade desserts are always worth leaving room for - the house dessert, Meringue King Sitric, is a practical speciality as it uses the egg whites left after the yolks are used in the many sauces made here each day. Aidan is a well known Euro-Toques chef and his food philosophy is seen in menu cover notes that state the restaurant's commitment to quality local produce - and give a listing of Irish fish in six languages. The range of menus offered demonstrates Aidan's absolute commitment to showcasing the best of seasonal local produce in imaginative and accessible ways, and - while some dishes are inevitably at the higher end of the price spectrum - gives the lie to any perception of this as an exclusively 'expensive' restaurant. 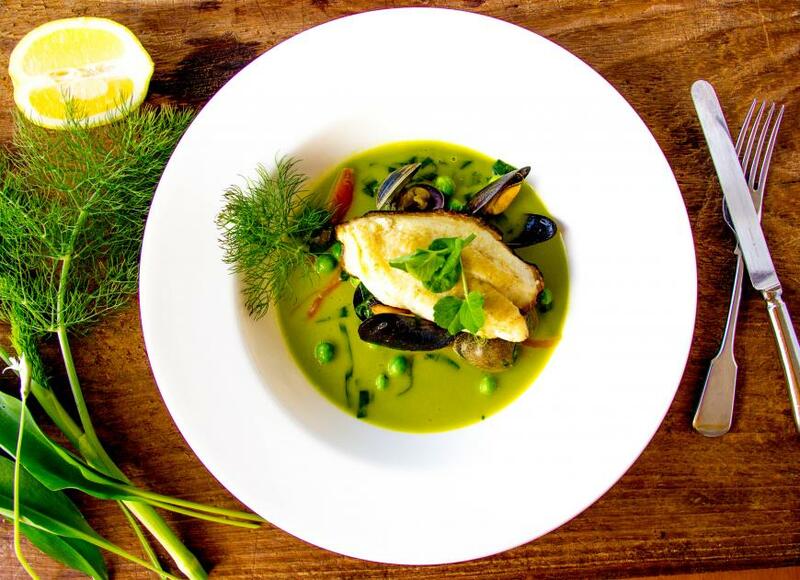 It is difficult to think of any other Irish restaurant offering a comparably diverse range of menus; without compromising on quality, it includes something appropriate for every budget and occasion, and is constantly evolving. A 2/3/4-course dinner menu offers exceptional value with no restriction on day or time, and an attractive 3-course menu available on Sunday afternoon and early evening is also very keenly priced. A more luxurious à la carte offers a wide range of speciality dishes (these are, naturally, at the premium end of the price range), and a series of special seasonal menus appears throughout the year; these include a summer Lobster Season menu, a Celebration Menu featuring the delights of Balscadden Bay (visible from the restaurant), a Tasting Menu in honour of the local Baily Beef, and an unusual Oyster and Game Season menu for the autumn and winter, offering native Irish oysters in a variety of dishes and half a dozen wild game dishes. What these menus all have in common - aside from being a creative expression of Aidan MacManus's dedication to local food, seasonality and value for customers - is the amount of information given on all main ingredients used. This is now becoming more usual, thanks in part to the Bord Bia 'Just Ask' competition (of which The King Sitric was a winner in 2010), but it has been the norm at this restaurant for many years, and goes far beyond a simple list of suppliers - there is a sense of a real relationship with each and every one of them, and it involves the diner as well as the chef. Aidan MacManus also oversees one of the country's finest wine lists, with strengths in Chablis, Burgundy and Alsace. The house wine, Hugel Pinot Blanc Cuvée les Amours, is a special reserve for The King Sitric; it is outstanding for both quality and value, and a perfect match for delicious fish cooking. 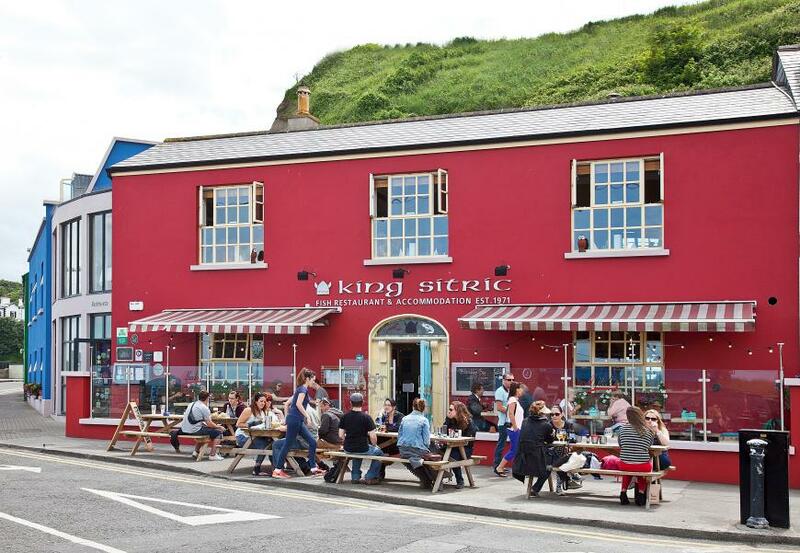 The King Sitric was the Guide's Seafood Restaurant of the Year in 2006, and received the Wine List of the Year Award in 2001; the restaurant operates a Food & Wine Club off-season. When the King Sitric was reconstructed and accommodation added some years ago, the main entrance was moved away from the old traditional front door to the side of the building, where it more conveniently served both restaurant and rooms. But it never said ‘welcome in’ the way an old classical door placed squarely in the middle of a building does – and many regulars didn't realise just how much it was missed, until the opening of the contemporary smart-casual ‘East Café-Bar’ on the ground floor. With its arrival the main door re-opened - et voilà, the building is complete once more. And, supplied by the main restaurant kitchen and run by son of the house, Declan MacManus, with his wife Susan, it is proving a real winner – offering a limited menu, fantastic food and great value, it’s just what people want today and they can’t get enough of it. There are options for those who are not in the mood for fish but, as in the main restaurant, seafood is the big draw here. So if you fancy the likes of the best chowder you’ll find anywhere (and Aidan’s famous brown bread to go with it), oh-sooo-fresh crab or lobster salads, whole Dublin Bay prawns in a pot and posh fish’n’chips made with featherlight batter, just head out to Howth and keep going until you reach the East Pier. Magic! Like the restaurant's renowned list on which it is based, the compact wine list of around two dozen wines offers great value. It includes the renowned King Sitric house wine, Hugel Pinot Blanc Cuvée les Amours, at €24.50 per bottle or €6.50 by the glass and, as in the King Sitric, you will also find craft Irish brews including the excellent Stonewell cider from Co Cork. Interestingly, the opening of East Café Bar has attracted interest back along the harbour front and revitalised the East Pier area - now the West harbour area, with its proliferation of restaurants and fish shops, is getting a run for its money and Howth is a more interesting place to visit. 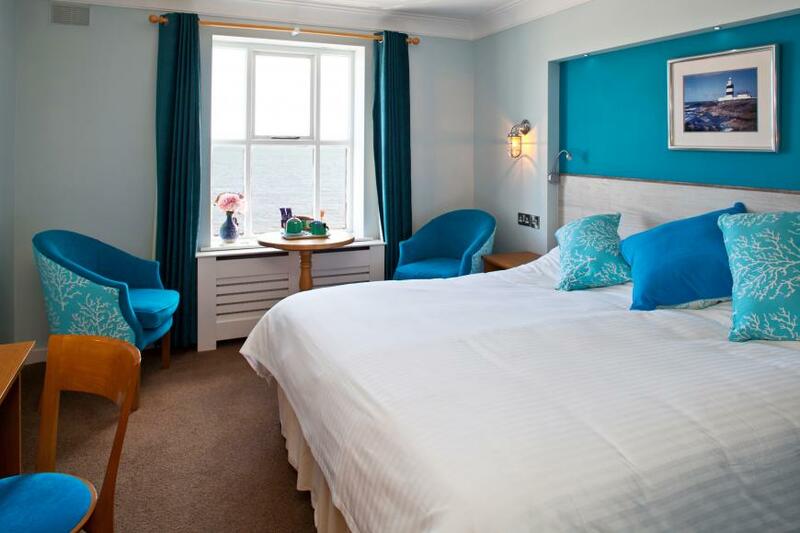 There are eight rooms, all with sea views and individually designed bathrooms - and a very nice breakfast menu is offered, including several fish dishes. Rooms 8 (6 shower only, 2 penthouse deluxe, 1 family, 3 ground floor, 1 wheelchair friendly). B&B from €75pps, single from €110, children welcome (under 12s free in parents' room, cots available free of charge; babysitting arranged); limited room service. DB&B for 2 from €219 (2 nights from €354), limited room service. Free wifi. Dogs (small, well behaved) may be permitted by prior arrangement. Far end of the harbour front, facing the east pier. 10/10, extremely helpful people who went the extra mile for their guests. Will definitely be back!